Description: Such an activity is not intended for trading product for fishing, but for marketing the soil resulting from the process of raising the worms. The selling price of such soil arising from a production is about 5 EUR / kg. There are currently no fertilizers on the market that are more natural and more nutritious than this. It can be used both for gardens (one needs about 5-8 kg of fertilizer per 100 square meters of garden, with better results than any other product), as well as for potted plants. Worm farms can be made on a small scale (in simple containers or on a floor) or by restricting large scale to the ground + a sorting arrangement (designed to create a separate the worms from the soil). 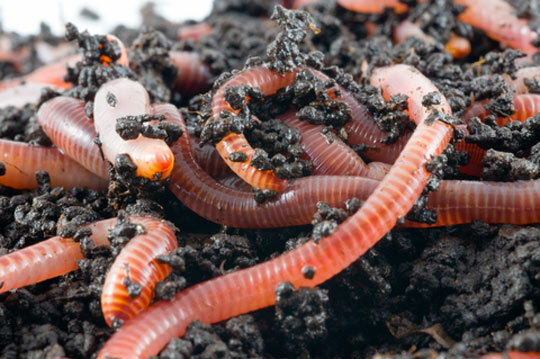 The soil will be populated with common red worms, and regarding their diet, any residue will do, both food and non-food, with the specification that you should avoid high fat foods (meat, cheese) or high acid foods (citrus, onion family vegetables). We present below three simple ways to organize a good worm farm. - The process is static, the worms do all the work, the only effort is the sorting of the soil from the worms. - Fans of this activity are calling the soil black gold, as its price is high compared to the simplicity of the process. Conclusion: If you have a property of any land outside the city and you have no stomach issues on such subject, such business can be extremely profitable. 0 Response to "Worm farm"